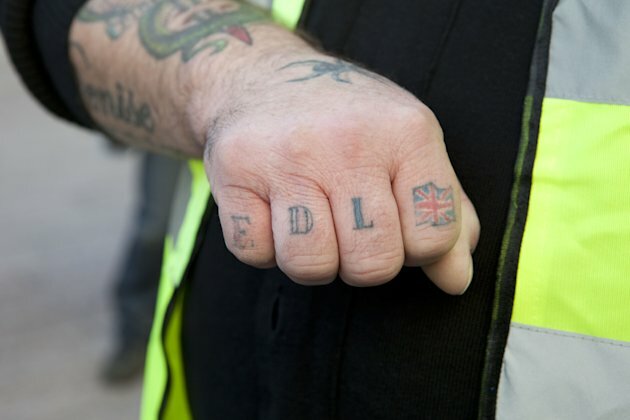 Politics UK - News: Does the far-right in Europe pose a growing threat to democracy? The next generation of European terrorists could emerge from the growing ranks of far-right groups becoming disillusioned with elections, researchers have warned. The English Defence League hosted a rally in Denmark last weekend in a bid to draw together anti-Muslim groups from across Europe in a new far-right alliance. The gathering was declared a flop, outnumbered 10 to one by counter-protesters, but experts believe these organisations could become breeding grounds for would-be terrorists and have called for greater efforts to be made to track their activities. Right-wing extremist violence has been on the increase across mainland Europe in recent years with attacks in Norway, Germany, Spain, Czech Republic and Italy. Anders Behring Breivik murdered 77 people and injured a further 151 in his attack in Norway last July. A manifesto he posted online before his killing spree railed against multiculturalism and Islam. Breivik’s document praised the EDL and claimed he had met leading members during a trip to London. In November German police uncovered a neo-Nazi terrorist cell linked to the murder of nine immigrants and a policewoman. The group had operated across the country for years undetected. The discovery plunged Germany into a state of shock and authorities are now facing calls to ban the right-wing National Democratic Party. In Italy, in December a trader from Florence with links to a far-right movement killed two Senegalese street vendors and injured another three before turning the gun on himself. The violence from the far-right has rocked mainland Europe but a recent study in the UK revealed that 40% of BNP supporters believe armed conflict between racial or religious groups is justifiable. The study was carried out by Matthew Goodwin, an expert in extremism from the University of Nottingham, who has told Yahoo! News that far-right rhetoric is becoming increasingly combative and provocative. “These groups are now operating in a perfect storm in terms of a recession, local cuts, austerity, the increased salience of Islam, it’s a far more fertile climate,” he explained. “That’s coinciding with many groups starting to share a consensus that the ballot box didn’t really work out over the last ten years. He added that in some areas of the north of England groups had even targeted businesses and homes. “We’ve not seen this kind of action before,” he said. Support for the far-right also extends to countries in the former Eastern bloc. In Hungary, groups like Jobbik have managed to take 46 seats in parliament to become the third biggest party. The Czech Republic recently claimed to have more than 4,000 active neo-Nazis while Euro 2012 hosts Poland and Ukraine are making special preparations to ensure the growing ranks of skinhead hooligans don’t pose a threat to visiting fans. The violence has extended to far-left groups who have been attacked in Spain and the Czech Republic and even Russia where anti-racist groups claim hundreds have died since 2005. These developments have led to calls for greater research to fully understand its implications. “It’s difficult to say it’s a trend because we simply don’t have reliable comparative data across Europe,” said Mr Goodwin. He said a lot of resource had gone into examining groups such as Al Qaeda but far less had been directed towards understanding the far-right. “We’ve been a little bit complacent, we’ve tended to be dismissive of the far-right – they’re very difficult organisations to research,” he added. Despite this he warned that there is still potential in the UK for this growing movement to spill over into acts of violence. In 1999 former BNP member David Copeland began a campaign of terror that killed three people and injured 139 in a series of nailbomb attacks across London. “We certainly have the potential, at the moment there are around 20 individuals who are serving long sentences for planning would-be acts of violence inspired by far-right ideologies,” Mr Goodwin stated.